Ouija is a great conjurer. The name alone elicits responses ranging from fear and suspicion to curiosity and amusement. For each generation, the Ouija board’s reputation has varied. Some believe it's a serious spiritual communication device, and others use it as a party game. More still think it's an instrument of evil. And the new Ouija movie plays into all of that. Sort of like Jumanji for the horror crowd, this flick for Halloween season taps into almost 125 years of brand recognition for 90 minutes of scares. But, where did the Ouija board come from, and how did it get its reputation? Almost anyone who’s attended a middle-school slumber party is familiar with Hasbro's modern form of the Ouija board. You might have used the board and its triangular planchette to spell out mystery messages from on “ghosts” from the “other side.” In my experience, the communication was usually creepy, but sometimes it was silly, too — like that time the "ghost" knew my crush. At some point in the night, someone was inevitably accused of pushing the planchette in order to the get the messages to fit their agenda. What is that “other side” anyway? Our own imagination? A spirit world where the dead roam, waiting for a call from the board? Perhaps the other side is something darker, an evil realm where a summoning is enough to give demons permission to torment, possess, or worse. Whatever it does, or doesn’t do, the Ouija board has been a symbol of spiritual communication for more than a century. 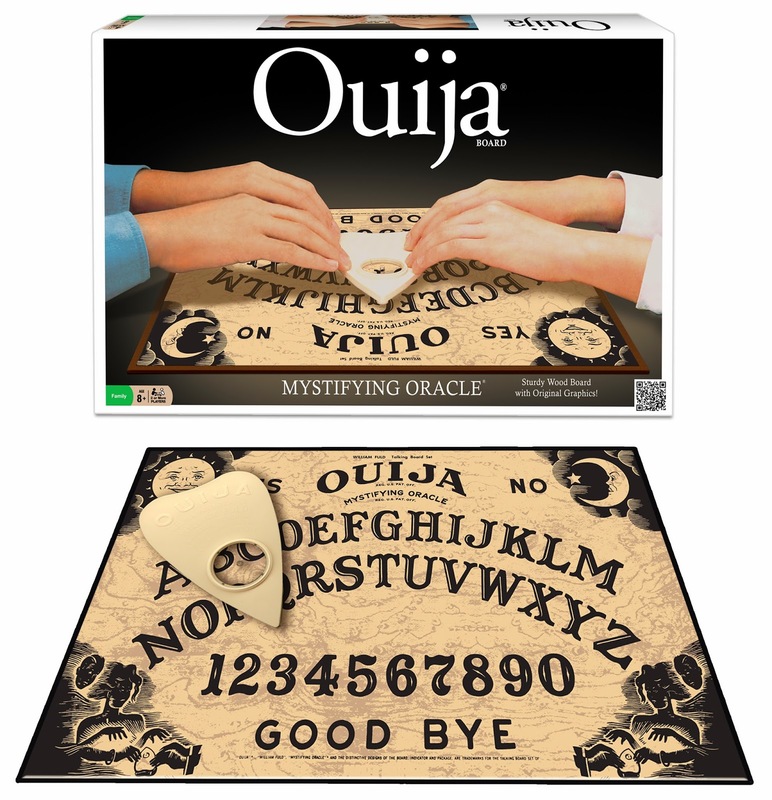 But, before the product was called “Ouija,” it was simply a talking board. to speak to the dead in a positive pursuit to understanding life and the physical world. Following the Civil War, and throughout the 1920s, the Spiritualism movement swept the United States and United Kingdom. It also continues today in the paranormal community of ghost hunters. The early Spiritualist method of talking to the dead that the Fox Sisters used involved speaking the alphabet, or pointing to letters on cards, and waiting for spirit to "knock" to indicate the appropriate one. In the early 1850s, other forms of communication emerged — table tipping, pointing devices, automatic writing planchettes — and by 1886 the talking board began transitioning from Spiritualist circles to parlors across America. Using this new device, which was considered easier to use by the spiritually untrained, people would place their forefinger and thumb on a tiny table that would then move on its own across a rectangular board that included letters and numbers. It’s unclear if the W.S. Reed Toy Company’s “Witch Board” was the first commercially available talking board, or if the company was just tapping into a similar craze that was sweeping Ohio at the time. But, this is where the Ouija story — and controversy — truly begins. The Associated Press picks up a story from a newspaper about a talking board, enthralling much of Ohio. The article marks the beginning of the board’s transition from a Spiritualist device to one embraced by the general public. The W.S. 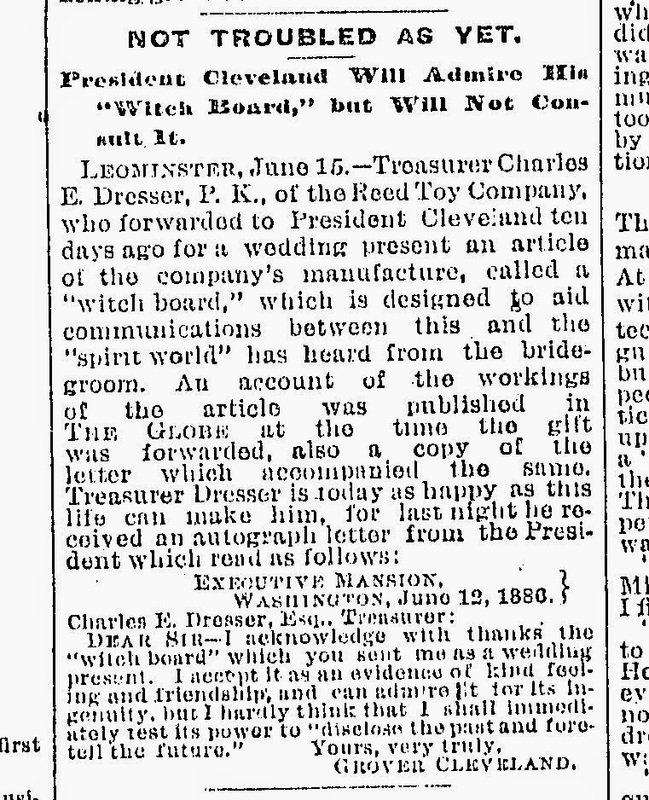 Reed Toy Company sent President Grover Cleveland a “Witch Board” as a wedding gift. Cleveland said he admired its ingenuity, but "I hardly think that I shall immediately test its power to disclose the past and foretell the future." 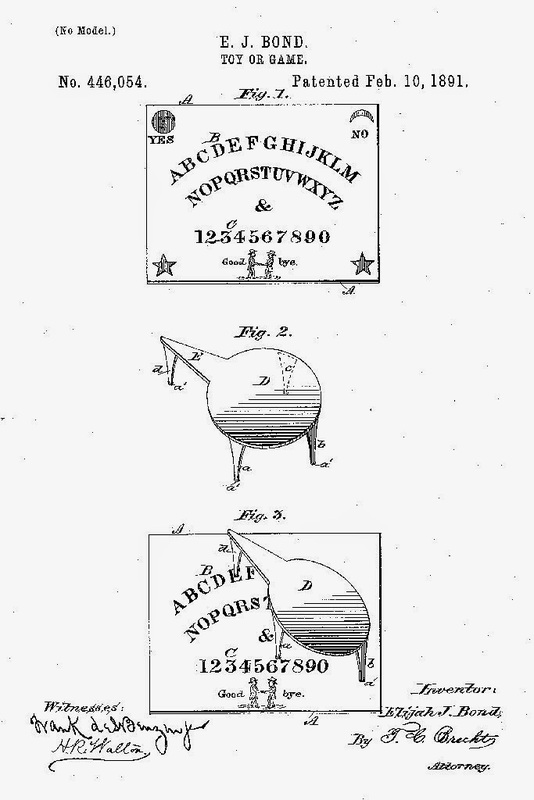 Charles Kennard and E. C. Reiche (both from Chestertown, MD) each claim to invent the board that would become Ouija. Kennard was in the fertilizer business, and Reiche was an undertaker and coffin maker. Neither seemed prone for the game business. “Reiche later proved to Kennard’s company that it was indeed his invention,” said Murch. 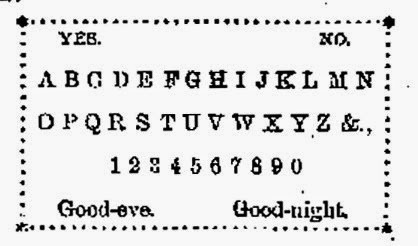 In April, the Ouija board gets its name during a séance in Baltimore, MD, with Kennard’s friend Elijah Bond, an attorney and fellow Mason, and Bond’s sister-in-law, Helen Peters, who was also a medium. When asked what Ouija meant, the board spelled out “good luck.” Later stories claim it’s an amalgam of the word “yes” in French and German. In February, the word "Ouija" is trademarked, and the Ouija/Talking Board patent is registered by Bond for Kennard. Bond sells his friend half of the patent for a dollar. Mrs. Eugene Carpenter, of Bridgeport, CT, is divorced. She then gets into a fight with her lover, who leaves her. Carpenter asks the Ouija board if her husband will come back. The board answers "no." She asks if her lover will come back, and again it says "no." A neighbor found Mrs. Carpenter wandering the streets in her nightgown, muttering, “Ouija said so, and I knew it was so…” Murch speculates she was the first Ouija board victim. After Kennard and Bond sell their interests in the Kennard Toy Novelty company, the original stockholder, William Fuld, takes over operations. According to Murch, Fuld invited his brother, Isaac, to join the company in 1897, and they began making Ouijas under Isaac Fuld & Brother. In 1901, Isaac is removed from the company, and William begins operations on his own, igniting a 96-year feud. In Chicago, Frank Aulich was granted a divorce from his wife, Mabel, because she refused to do anything without consulting the Ouija board. The same thing happened to Frank Richards, of Missouri, in 1910. He petitioned the court for a divorce because his wife, Sarah, won’t stop consulting the Ouija board. That same year, Charles Delaney filed for divorce from his wife, Pauline, because the Ouija board and fortune tellers told her he was a bad man. Pearl and Patience went on to write volumes of critically acclaimed poetry and prose, including Telka, The Sorry Tale, Hope Trueblood, The Pot upon the Wheel, Samuel Wheaton, An Elizebethan Mask. Pearl said she was just a transcriptionist, but Patience Worth was the real author. Ouija makes its silver-screen debut in a silent comedy short called “A Little Ouija Work,” directed by C. Graham Baker. The Baltimore Talking Board Company sues the IRS, claiming that its boards were not toys, but “something else” and should not be subjected to a game tax. The company argued that it was a device to communicate to the other side. After losing in Federal and Appellate courts, they appealed to the Supreme Court in 1922, which refused to hear the case. Jennie Morrow is killed in a hit-and-run accident in El Cerrito, CA. The family is devastated and starts having continuous Ouija séances. They held neighbors hostage (so as not to break the séance), and the police were called. Seven people were admitted to a psychiatric ward, and the town went on to unsuccessfully ban Ouija boards. 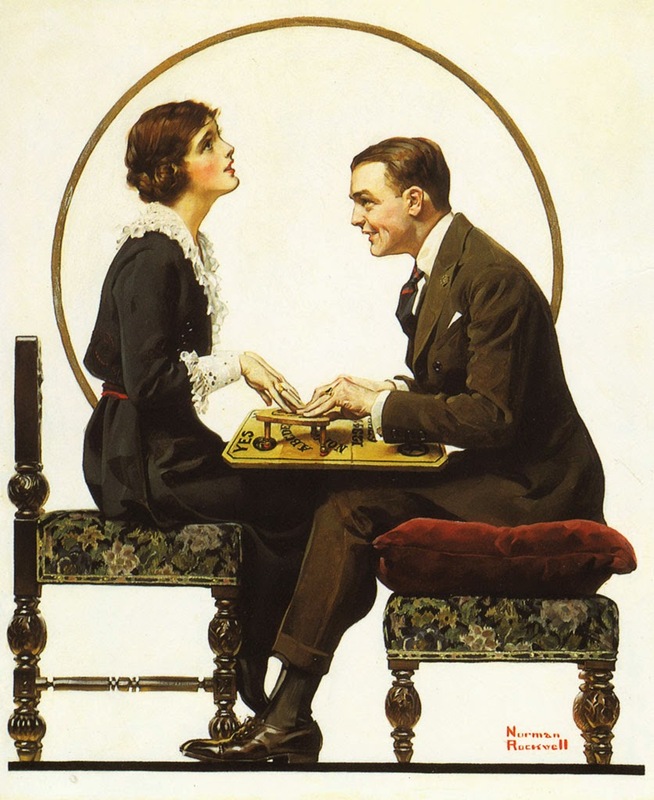 Norman Rockwell’s Ouija cover was published in the May issue of The Saturday Evening Post. In California, May Murdoch shot her husband three times because the Ouija board said he was untrue. He died days later from his injuries. William Fuld, the father of the Ouija board, died in February after falling off the roof of a factory the board told him to build. Lillian Jimmersen, of New York, used the Ouiji board to convince her friend Nancy Bowen to kill a woman named Mrs. Marchand. The board "told" Nancy that if she didn’t kill Ms. Marchand first, then she would kill Nancy. In Arizona, Mattie Turley shot and killed her father because the Ouija board told her to. He died days later. As it happens, her mother had a boyfriend and didn’t want a divorce. Murch said it is believed that the mother used the Ouija board to manipulate her daughter into killing him. Hubert Hurd shot and killed his wife in Kansas City after she tied him up and tortured him because the Ouija board told her he was cheating on her and hiding money. 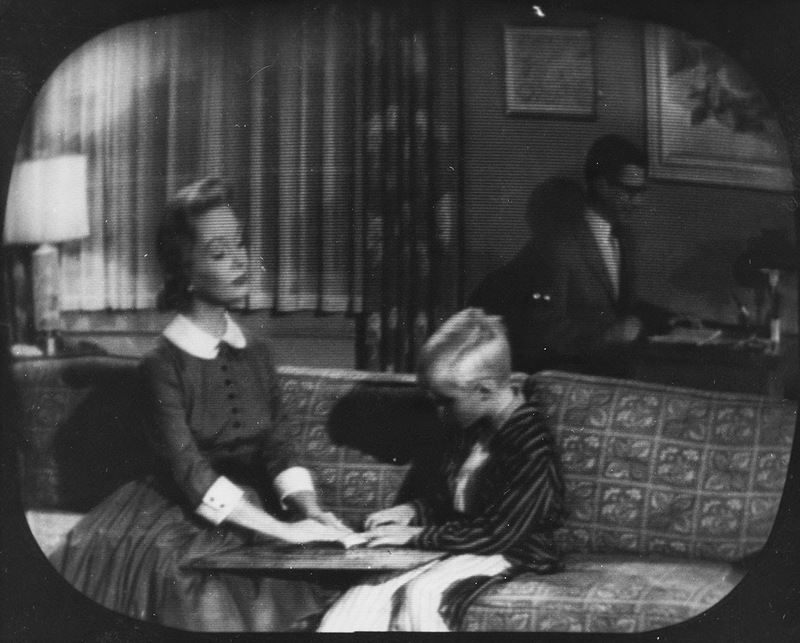 The Ouija board made an appearance in “The Séance” episode in the first season of I Love Lucy. The board also appeared as a plot device in other shows, including “The Raffle Ticket” episode of Dennis The Menace. Jane Roberts and her husband, Robert Butts, claimed to make contact with an entity named Seth. Jane went on to write many New Age and self-help books, including The Seth Material. Parker Brothers bought the Ouija board from the Fulds for $1 million, the most a game had been purchased for at that time. “Appropriately, Parker Brothers moved Ouija production from Baltimore to Salem, MA,” said Murch. In The Exorcist, Regan (Linda Blair) used a Ouija board to communicate with a spirit named Captain Howdy. The young girl is then possessed by the Captain, who is revealed to be the demon Pazuzu. 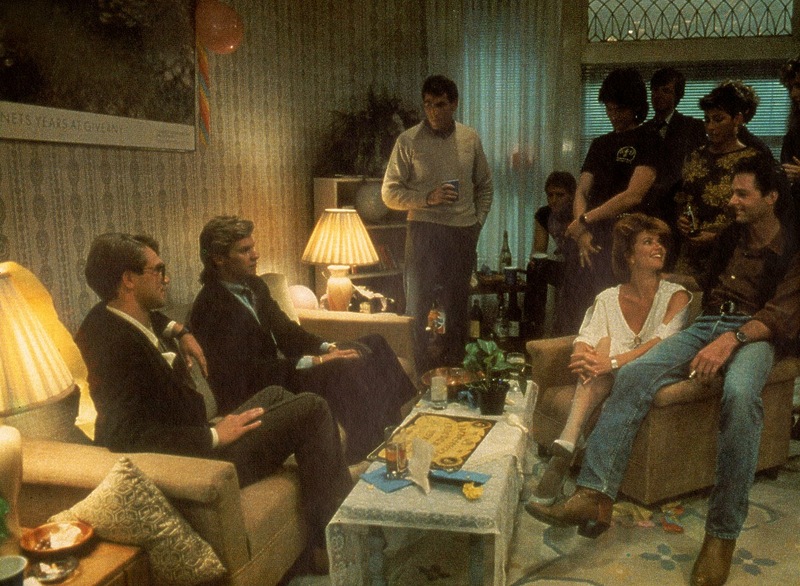 The film, directed by William Friedkin, fueled the ever-growing belief that the Ouija board was a conduit to Satan. - The Ouija board dates back to 540 B.C. - It was used by Pythagoras. The Gulf Breeze Six, U.S. military analysts from the 701st Military Intelligence Brigade at Augsburg, West Germany, deserted their posts after a Ouija board convinced them the end of the world had come. “At that time, this was the biggest NSA listening post outside the United States,” said Murch. Parker Brothers, a subsidiary of Hasbro, removed William Fuld’s name and released a glow-in-the-dark board. Slumber parties get 90% creepier when the lights go out. Charmed debuted on The WB and introduced a spirit board, which became a recurring plot device. For the first time in its history, Hasbro licensed the Ouija board to another company. In 2004, Dark Horse released a non-Ouija spirit board for its comic Hellboy. In 2008, it released a Buffy The Vampire Slayer “Conversations With Dead People” board. The PINK campaign board is also released. The "found footage" film Paranormal Activity made use of a talking board for an integral scene to highlight the growing demonic activity in a young couple’s home. The movie enjoyed a wide release in 2009 and went on to become a major success. 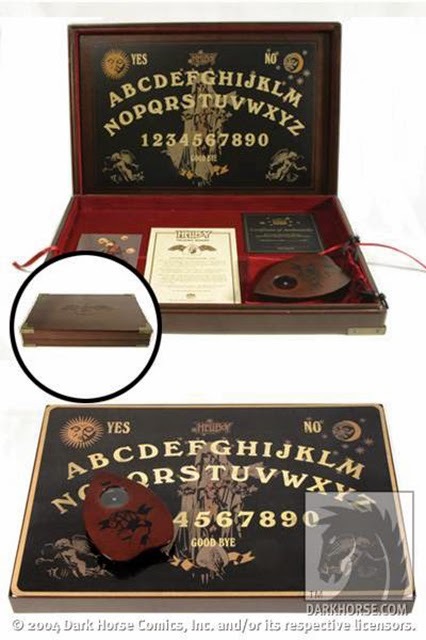 Hasbro licensed Ouija to USAopoly, which worked with LiveNation to make an Ozzy Osbourne-themed Ouija board for his Scream Tour. Hasbro released a new board with hidden messages, discoverable through the use of a planchette with an embedded blacklight. The same year, the toy company extended a license to Winning Moves Games, which created a vintage Mystifying Oracle board that was made of wood and used original graphics. 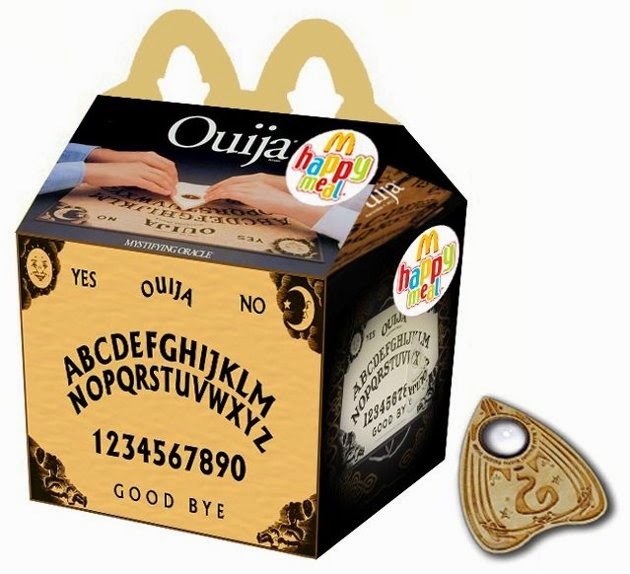 Artist Newt Clemens created an image of a parody Ouija board for McDonald’s Happy Meal. 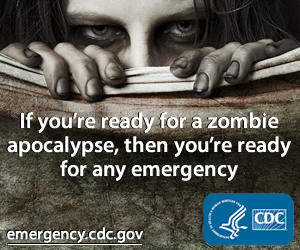 The image is jokingly tweeted by Amy Bruni of Ghost Hunters, who received threatening messages (“Go get killed by a ghost.” and “I hope you get slaughtered.”) from opponents of the board. Ouija the movie is released. Hasbro licenses Ouija to USAopoly for a Supernatural-themed board, which will be released in October.